Nasturtium (Tropaeolum sp.) 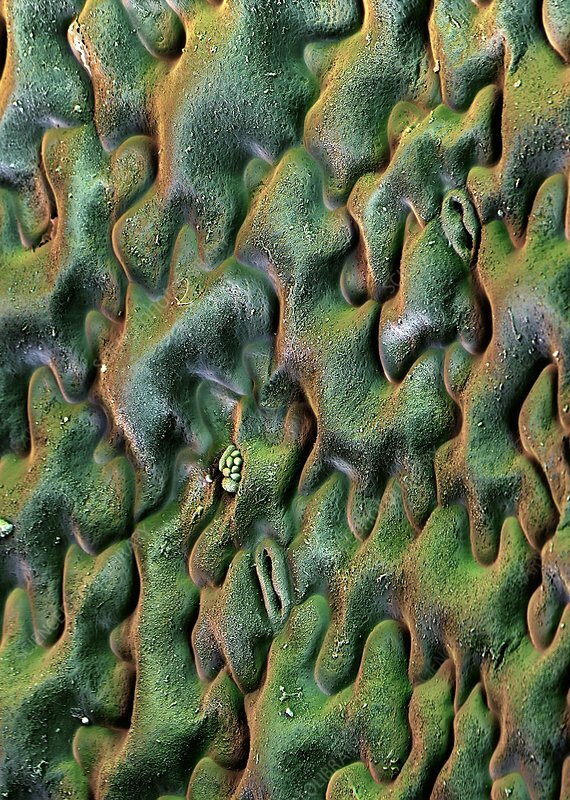 leaf surface, coloured scanning electron micrograph (SEM). Nasturtiums are flowering plants native to South and Central America.